Our product range includes a wide range of sumihard 400 plates, 500bhn plates and 400 bhn plates. 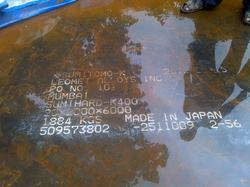 Sumihard K500 is a through hardened abrasion resistant steel with a typical hardness of 510 BHN. These steels are the most widely used of the wear resistant grades. They exhibit an excellent combination of high resistance to impact, workability, weld ability and resistance to abrasion. It has about 3 times the abrasion resistance of common steel plate and contributes to prolonging the service life of mechanical parts. 500BHN Plates: We have established ourselves as the most renowned organization engaged in offering quality Abrasion Resistant Plate. These products are fabricated using finest quality raw materials with ultra- modern technology and are offered in varied specifications as per the specifications provided by them. Owing to their features like easy to install, wear & corrosion resistant and maintenance free, these products are widely appreciated by the clients. We offer all range of 500BHN plates like Hardox 400, Hardox 500, Abrex 400, Abrex 500, Sumihard 400, Sumihard 500. 400 BHN Plates: We have established ourselves as the most renowned organization engaged in offering quality Abrasion Resistant Plate. These products are fabricated using finest quality raw materials with ultra- modern technology and are offered in varied specifications as per the specifications provided by them. Owing to their features like easy to install, wear & corrosion resistant and maintenance free, these products are widely appreciated by the clients. 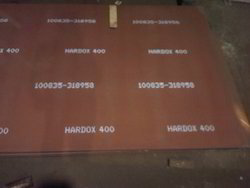 We offer all range of 400BHN plates like Hardox 400, Hardox 500, Abrex 400, Abrex 500, Sumihard 400, Sumihard 500. 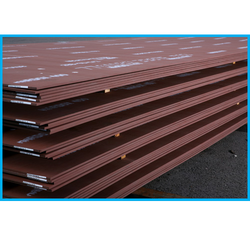 Looking for Abrasion Resistant Steel Plates ?